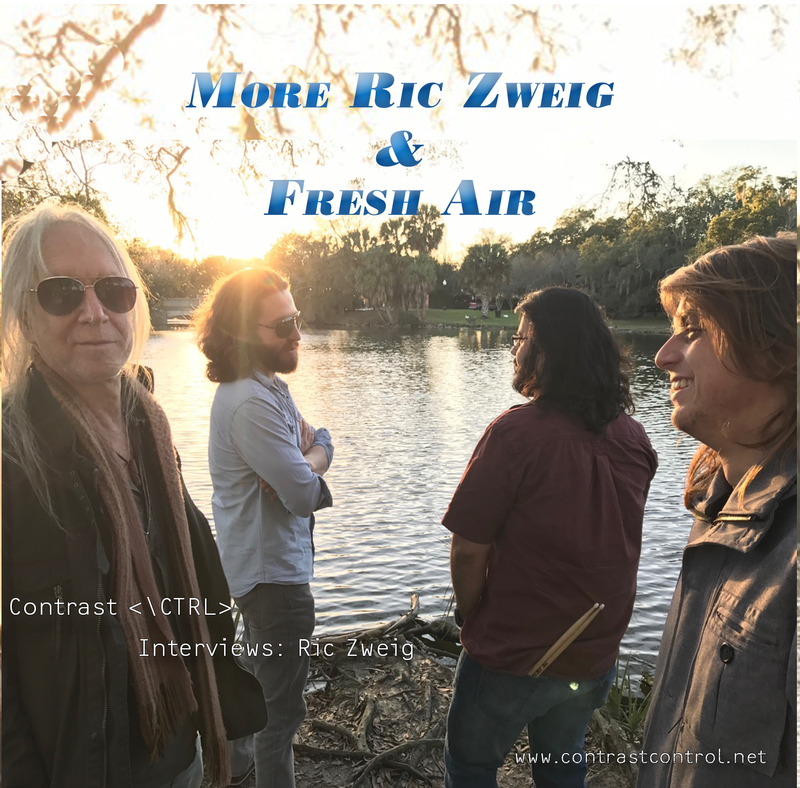 Previously featured via review on Contrast CTRL, Ric Zweig & Fresh Air [Click here to read the review!] created a very interesting and fun album entitled ‘More’ that was full of musical styles and overall had a tightly produced sound. Ric recently spoke with Contrast CTRL over the phone to give us some details into his in and out of music and what his main focus is now that he is based in Louisiana. Music always being his passion, Ric Zweig also pursued a career in Florida in the legal field that granted him a measure of success. 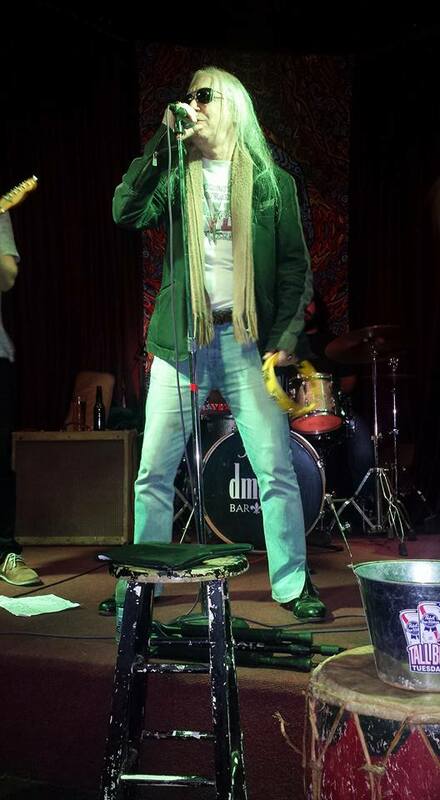 Eventually making his way back to music, Ric discovered the cultural boom of music that New Orleans offers from street to street and venue to venue. From influences of musicians and bands of the past to the location and setting of today, Ric Zweig is more than ever motivated to share his music with any who will listen whether it’s performing on the street corners or filling up a music venue, Ric is all about his music nowadays. Right off I mistakenly mispronounced Ric’s last name which is Zweig. On the surface it looks like Zwayg but after a laugh and mild correction I learned it’s of European origin and is pronounced Zwhyg. Ric tells me more about his family background: “From Europe, My mother was born in Johannesburg South Africa, and my father’s family came from an area of Russia called Georgia. My father my met my mother in Johannesburg. Ric Zweig is in his 70s now and has experienced a successful legal career and a fulfilling life of creativity as a musician and songwriter, so the words above can truly prove enlightening to any aspiring artist. Going further into Ric Zweig’s Origins of Law and Music: “I give my dad the initial credit. When I was in college back in the day, I won’t tell you how long ago that was [Ric laughs] but there was a time in college in upstate New York and everybody was listening to rock n roll, Led Zeppelin, Pink Floyd that kina stuff. It was my first band, we were terrible and um all of a sudden I got accepted into law school. I realized I had an opportunity to do something that might count for something In my life. So I decided to come down to Florida and go to the University of Miami School of Law, to do that I had to stop music, I stopped it completely, I just didn’t have time for it. The people who were with me in New York were no longer with me, so I knew no one and didn’t have that influence. The law thing worked out pretty good for me, but i had to give up the music. Well I decided to retire from the law thing, somewhere in 2001-03. What I was gonna do, now that I have time and I have that same love for music I had years ago. It was probably the smartest decision I’ve ever made in my life. I met a lot of new people and instead of missing old friends I had friends of all ages, musicians come in all different sizes and ages and backgrounds. I was playing with everyone and having the time of my life. Ric has since retirement from law and pursuing music relocated to New Orleans, a heart of the music that world that thrives on street performers and jazz legends local and worldwide alike. Ric recounted many stories of playing on street corners and finding his own groove in that musical landscape. While I can’t feature every word spoken, Ric Zweig proves to be a deep well of knowledge and inspiration of changing lanes from a bustling career in law to a more uncertain music path that is full of twists and turns and hazards, but also joys that Ric Zweig finds worth the journey. As mentioned at the start, Ric Zwieg & Fresh Air have been featured on Contrast CTRL before as we reviewed their album ‘More’ which is full of that New Orleans sound and life experience only one man such as Ric Zweig can offer. I’d like to think Ric for taking the time to speak with me and answer questions, but most importantly, his lifelong passion of music that ultimately makes his journey in life all the more worth it. Contrast CTRL, Education, Featured, Fresh Air, Interview, Law, Legal, Louisiana, Music, New Orleans, Ric Zweig. Bookmark.